Real Time Information, or RTI for short, is HMRC’s new scheme for Payrolls, which was introduced for most UK comanies in April 2013. It is intended to improve and streamline the flow of payroll, National Insurance and taxation information between employers and HMRC, by requiring information to be submitted BEFORE staff are paid, regardless of whether they are paid weekly, fortnightly, 4-weekly or monthly. You could call it the introduction of real time payroll, replacing the current retrospective system. When did the RTI Payroll changes start? RTI was a requirement for all SMEs from 1st April 2013, with larger businesses coming on board later in the year, and it’s down to you to make sure your business is ready for it. Companies employing fewer than 50 people (and who were also paying their staff weekly, or more frequently, but only processing their payroll monthly) were exempt, initially, from RTI rules. However, all companies will be required to comply with RTI rules from April 2014. RTI represents a major shift for payroll operations, and has been described as “the biggest change since the introduction of PAYE in 1944.” HMRC will be doling out hefty fines for non-compliant businesses, so it is important that you made sure your business, if it is a non-exempt SME, was ready by 1st April 2013. Whatever your type of business, you must be ready by April 2014, when all exemptions run out. All companies will have received correspondence from HMRC regarding cleansing their payroll systems and ensuring it is compatible to run with RTI from April 2013 onwards, and certainly by October 2013. Just like running your own payroll, this can be a lengthy and time consuming process and could mean a lot of extra work for you. However, if you’re one of our clients, you can sit back and relax, because at JLP we’re fully RTI compliant and we will do it all for you, so you can get on with running your business. 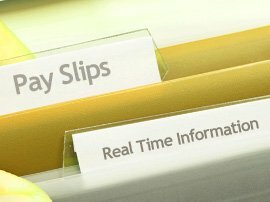 If you’re not one of our clients, and are concerned about the complexities of RTI, then out-sourcing your payroll to JLP could be a good option as we guarantee you will have peace of mind knowing that your payroll is being run correctly and complies with HMRC’s Real Time Information – RTI – requirements. » Contact us to find out how our RTI Payroll Service can help your company.